Successfully Added VKWorld VK700 Pro Smartphone – Quad Core CPU, 5.5 Inch Screen, Gorilla Glass, Android 5.1, Smart Gesture + Wake (Gold) to your Shopping Cart. Can you smash walnuts with your smartphone’s screen? Well, that would be a “yes” if you owned the VKworld VK700 Pro Android Smartphone. Coming with a tough 5.5 inch Gorilla Glass HD screen, a quad core CPU a rear 13MP Sony cam, it’s the smartphone you’ll want to make your own. If the first thing you look at when picking out a smartphone is the screen, with the VKworld VK700Pro you won’t be able to look away. The Android smartphone features an impressive 5.5 inch HD display – a great stage for all your mobile media. However, that’s not even the best part. Thanks to the special design and use of Gorilla Glass, the smartphone’s screen is not only beautiful, but also incredibly tough – able to withstand the damage that would shatter the display of most other phones on the market. The phone even comes with a free protective screen cover and case to keep it extra safe. To quickly navigate the phone, get quick access to your media or move between music tracks you will have Smart Wake and Gesture Sensing at your service. The two features are great time savers and are sure to add some fun to your mobile experience. The VKworld VK700 Pro comes with two cameras and features a 13MP rear camera by Sony. That means that you will have faster focus and impressive quality when snapping quick photos with your smartphone. Thanks to the support of two SIM cards, you can have two phone numbers on your phone and benefit from better connectivity options. The quad core CPU will back up your media browsing, gameplay and multitasking, letting you enjoy smooth operation and fast speeds when using the device. 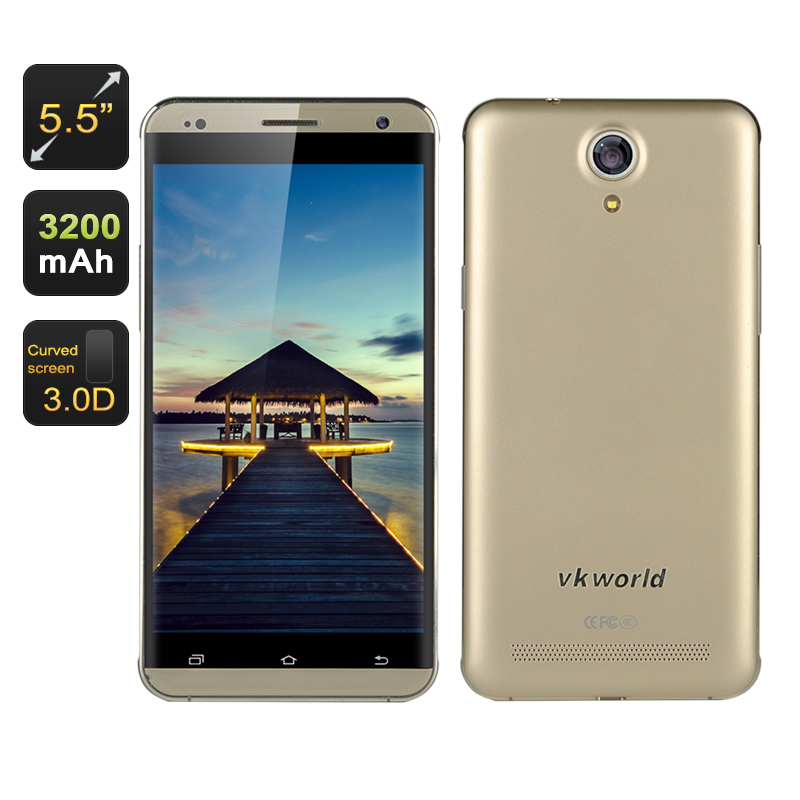 The VKworld VK700 Pro Smartphone comes with 12 months warranty. Brought to you by the leader in electronic devices as well as wholesale Android smartphones, Chinavasion..